I am hurting for the one who was called free and brave. I am hurting for the one that many looked to as a place of refuge and strength. I am hurting for the one whose home is full of hatred and violence. I’m hurting for her. I hear the groans of pain and agony as words are spoken. I feel the pain of rejection. I feel the fear that has gripped many like chains. I feel the hopelessness and despair. I feel you. I hear you. Most importantly I see you. I am hurting for the one that was to bring the light. I am hurting for the one that was to initiate peace. I am hurting for the one that was to love in order for the world to know love. I am hurting for her. I hear your struggles as you try to stand out, but somehow end up blending in. I see your fear of leading from the front, when it’s so much more comfortable in the back. I feel the pain of knowing that honor is usually only extended to those who look and think like me. I feel you. I hear. Most importantly I see you. You are a world-changer. Yes both of you! I established one to help the other fulfill it’s God-given destiny. One was made to serve the other. One was made to lead the other. One was made to shine, shine, shine like the Son…so that the world might see. See what it means to love one another. See what it means to honor one another. See what it means to carry one another’s burdens. See what it means to be like Me. 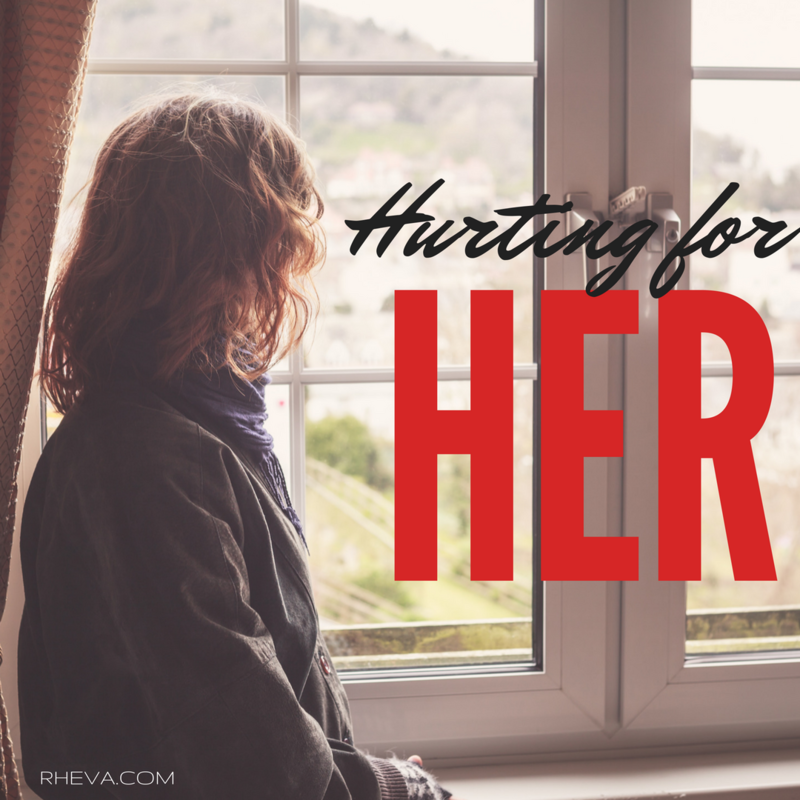 Yes she’s hurting, because you’re hurting. So, rise daughter and take your place.